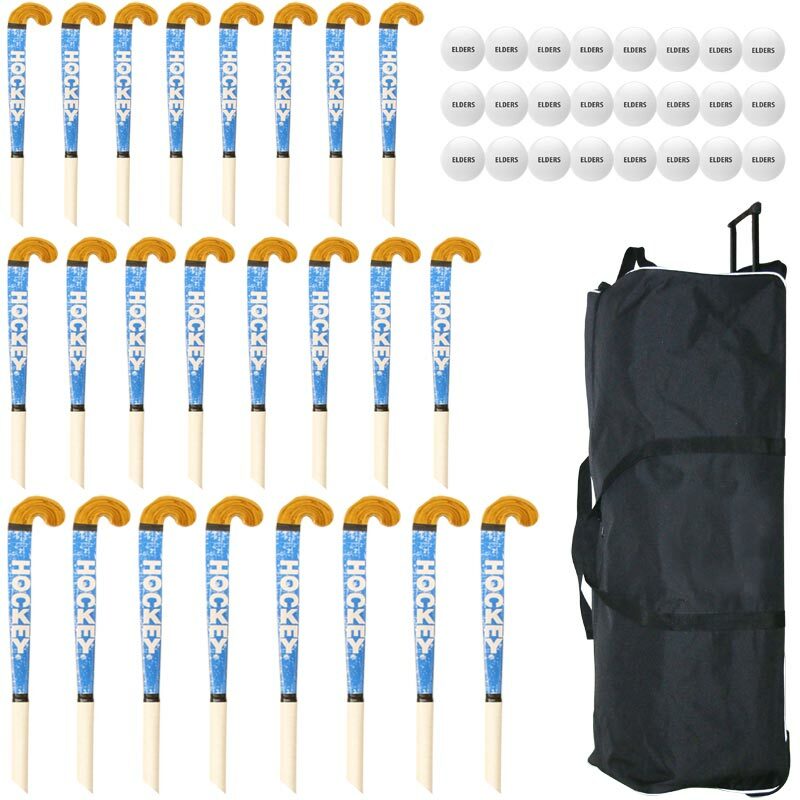 Elders Hockey Coaching Set contains everything you need for a great game. 8 x 26" Elders School Hockey Sticks. 8 x 28" Elders School Hockey Sticks. 8 x 30" Elders School Hockey Sticks. 24 x Elders White Hockey Balls. 8 x 32" Elders School Hockey Sticks. 8 x 34" Elders School Hockey Sticks. 8 x 36" Elders School Hockey Sticks. Large durable wheeled holdall with U-shaped opening for easy of access. Hockey balls suitable for all surfaces.